Duncan got in touch to tell me about his blog Mad Mods and a Camera. So, what’s Mad Mods And A Camera? A journey – An amazing journey that started with a brief conversation outside a café in Enfield, North London. 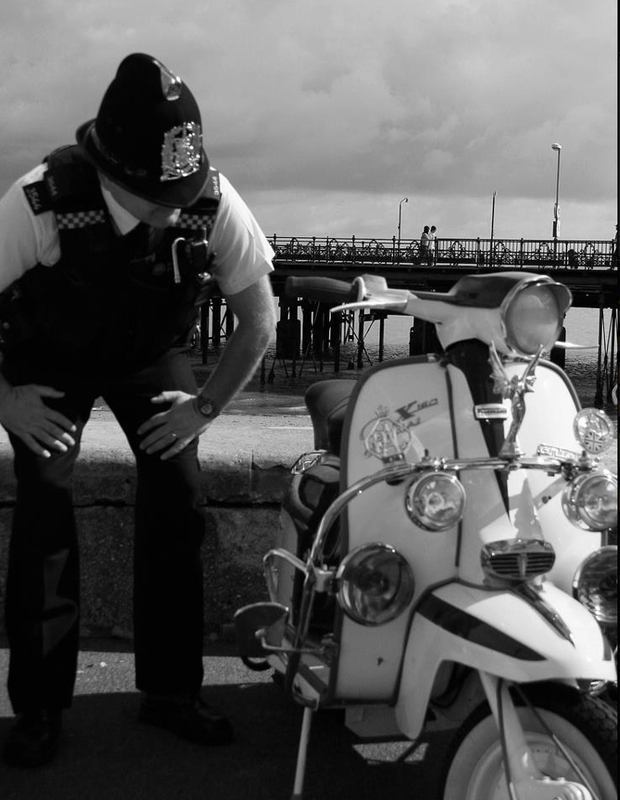 A journey that’s taken him on Rideouts, to club meetings and social events, and led to meet-ups with Mods all over the country. And a photographic journey that, as one Mod once said to him; “keep spreading the love” about modern-day Mods. The imagery is fantastic. I’ve given you a flavour here… there’s much more over on his blog. Here. Happy Thanksgiving Colonials! Enjoy your pre-Christmas Turkey! 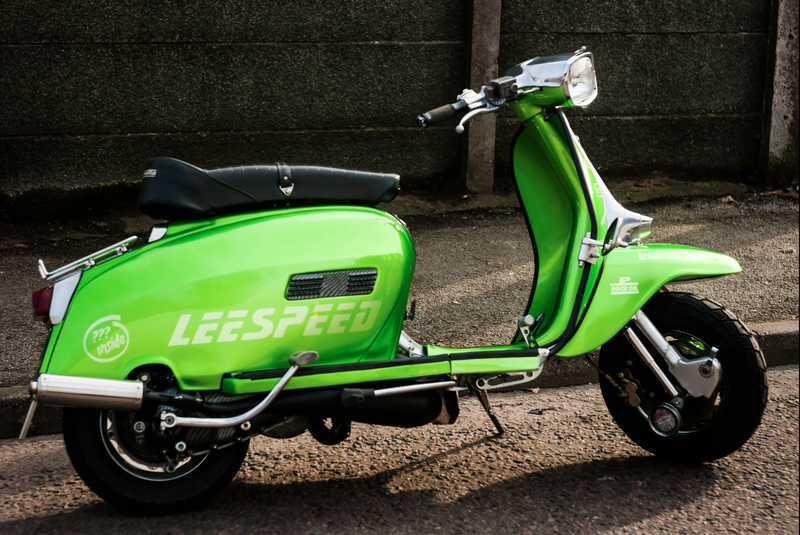 So you’ve spent a few quid getting your scoot the way you want it… why not spend a few more documenting it for posterity? You could take some snaps yourself, or do it properly (your the kind of person that does things properly, right? ), and get it shot professionally in a studio… except most studios are set up to shoot people, not motorcycles and scooters. That’s where ProBikeArt comes into the picture. 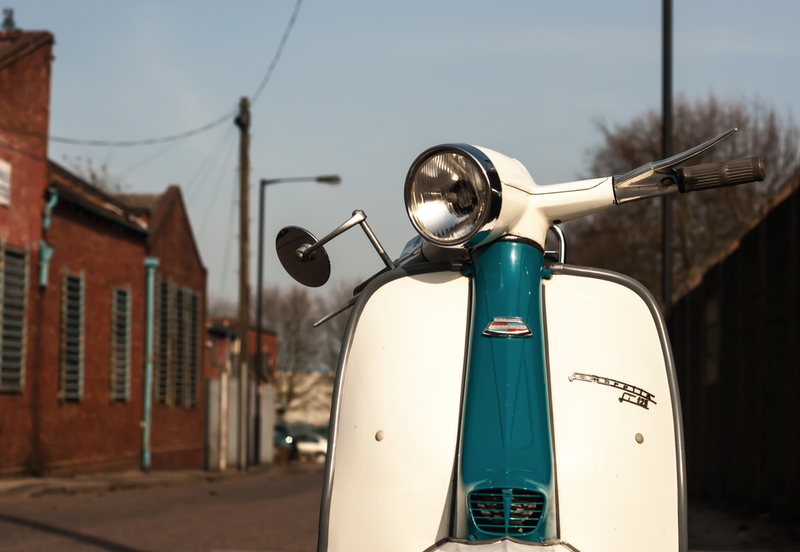 Professional studio photography that captures the lines and details of your Lambretta in the best light. 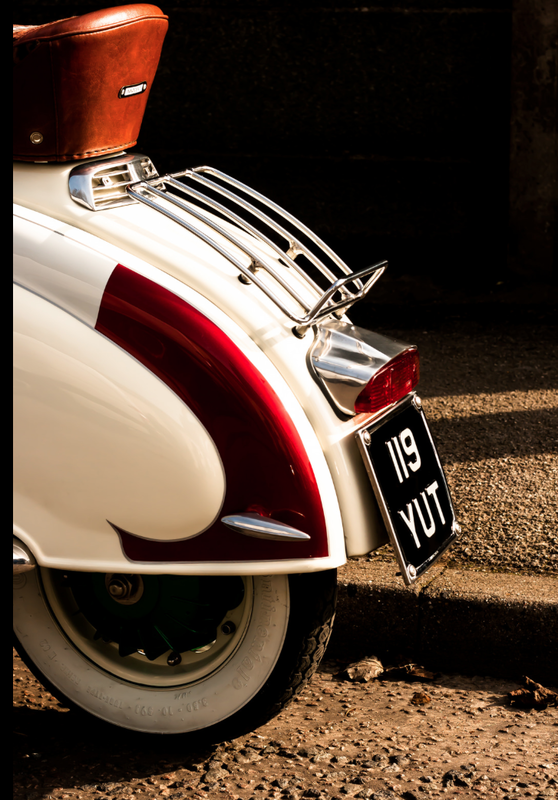 Photographer Ian Daisley specialises in shooting classic, racing and cherished motorcycles – but he’s shot a few Lambrettas – as you can see! A basic studio session costs just £145… including your finished digital images supplied on disk, and a 300x400mm framed fine art print. ProBikeArt are located near Matlock in Derbyshire. Get in touch with them here. I’ve often featured the work of talented photographers on the blog, and Dammo is the latest of the bunch. Dammo specialises in capturing British subcultures with their inherent diversity, quirkiness and definitive style. The majority of his work reflects his own personal interests in music and cultural movements: be it Northern Soul, Mod, Rockabilly, 50s R&B or the Scooter Scene. However, individual commissions will be considered. Dammo’s photography is stylish, crisp and detailed, in terms of tone and colour, offering a document of time and place. There is a vintage flavour to his work, but with a fresh modern perspective, demonstrating a graphic designers eye, combined with a photographers passion for the subject and the art of making the observer feel present in the event. He offers bespoke quality pictures depicting events and people in a way that illustrates the emotion and intrinsic timeless nature of British sub cultural movements, whether it be for editorial purposes, display or web. For photographic enquiries you can call Dammo on: 0777 219 7276 or email him here. Alteratively, follow him on Facebook or Twitter to keep up to date with his latest work. All images featured in this post are used with permission and are copyright ©Dammo Photography 2014. All rights reserved. When it comes to scooter magazines, there are only really two players for most people. Scootering, and Classic Scooter Scene. Well, now there’s a third. There’s a new kid on the block, and they’re French. Scooters & Style magazine is now on issue 5, and the tagline ‘Yesterday’s Scooter Today pretty much sums up what they do. It’s a really classy affair, printed on good quality stock (with a nice thick, glossy cover). The contents, and I’ll run through the full contents of issue 5 in a minute, are very much photography led. I’m not knocking the photography of the ‘big two’ mags, but Scooter & Style does things slightly differently, with the photography really being the hero of every article. There are often full bleed, full page photographs, and a couple of double page spreads, which coupled with the superior stock really make the images look fantastic. It’s the sort of thing you want to leave open on your coffee table, preferably next to a large cafe au lait!! You’ll get an idea from the images below. The articles are very good, and the magazine in laid out nicely, although being a graphic designer in my day job there’s always things I’d do differently. The fact that all the text appears in both french and English must present the designers with a few challenges, but it doesn’t get in the way for the reader. Issue five has some great articles; listed below. First is an amazing ‘secret’ collection of 170 scooters by a mysterious figure known only as Claude. This is a guy who has six, yep six, Lambretta LD’s in his collection (the French built ones, I assume), as well as every single model Motobécane made in the 50’s, and many other marques such as Peugeot, Terot, Magnat-Debon (a new one on me!) Rumi, AGF (Nope, don’t know that one either) Triumph, Durkopp, Maïco and Scootavia (another I’ll have to look up). Fantastic. The next feature was on a dude from Lyon, Lucas, aka Brus Custom, who makes some really cool ‘LoFi’ hot rod style customs based on a ’57 LD. The kingsize ‘moon-eyes’ gearshift on this machine looks great. There’s a superb double-page spread of this machine in front of a VW bus he’s also ‘done’. A truly stunning Arthur Francis S-Type style SX 225 is given the respect it deserves, ten full pages on this beaut. 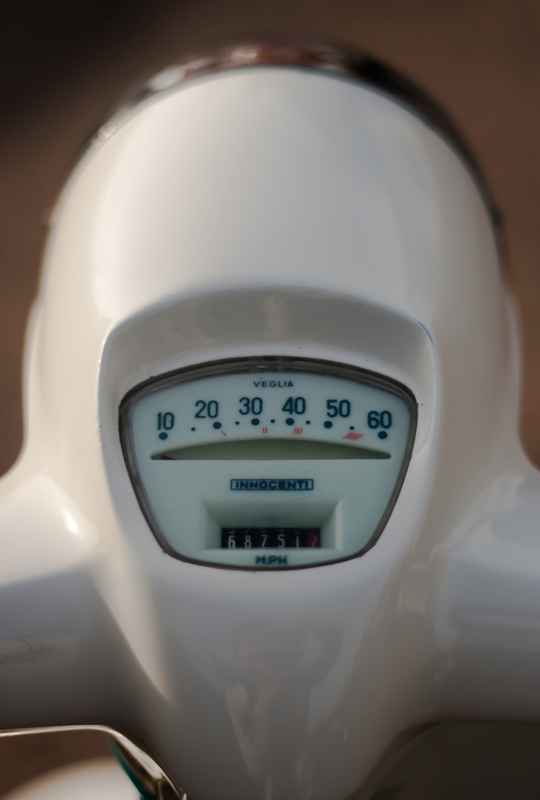 Even if your not a Lambretta fan (unlikely, I know, if you’re reading this blog) Scooter sport features in the form of the Scootentole 10h de Magny-Cours. Vespa fans get their fair share, as well as four pages on Vespa World Days 2015 there’s a lovely Primavera in the tried and tested Gulf racing colours. Always works that combo. When you seat upon it a nice French lady showing more than a little leg, it works even better. Then there’s a great article on the battle-ready Vespa 150 TAP, with its 75mm cannon. Nine full pages on that one.Tech articles, rally news and music complete the offering. Scooters & Style is a very different magazine from Scootering and Classic Scooter Scene. It’s got more of an ‘artsy’ vibe about it, and the superior paper stock and layout really make the high-quality photography come alive. To conclude (nearly) I’d highly recommend this stylish mag. It’ll make a great addition to your reading list. It might even help you learn french. Find out more on their website here, and check out how to order your copy now. I came across Emma’s photography on Flickr, and had to feature it on the blog! A freelance photographer, based in Birmingham, she has had a passion for bikes and scooters since she was a young girl… even burning her leg on the exhaust of her dad’s Honda CB250N Superdream as girl didn’t put her off! I’m sure you’ll agree from the stunning images here, that Emma has a great ‘eye’ and really captures the essence of the machines she shoots. 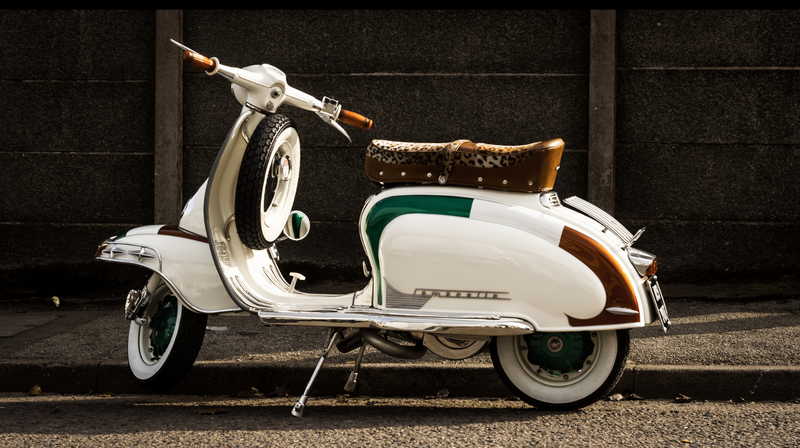 Of course having some fantastic scoots to shoot doesn’t hurt 🙂 Over the last few years Emma’s photography career has started to take off, and she has recently acquired a contract with a scooter restoration specialist… so hopefully you’ll be seeing a lot more of her work soon… there’s talk of a range of products for the Lambretta market, and I’ll feature what I can on the blog. 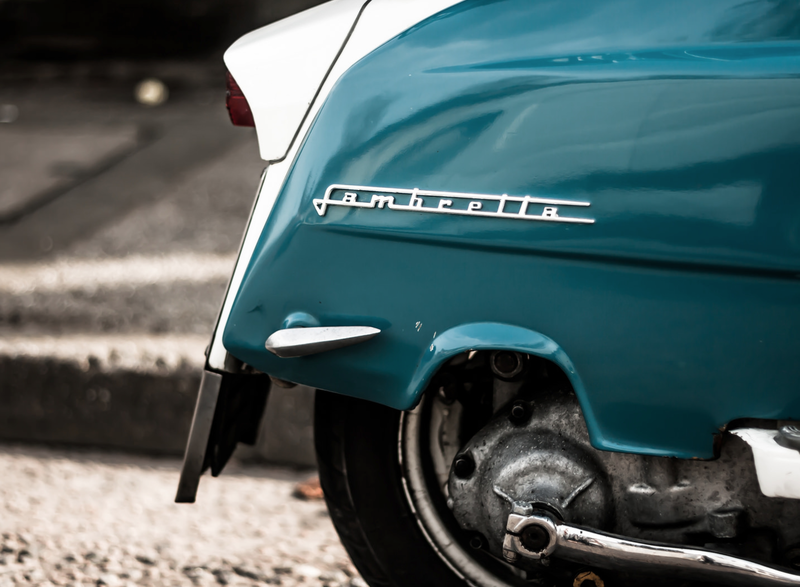 Emma’s scooter photography is just the tip of the iceberg, she’s happy to photograph almost anything, if you’ve got a project for her, get in touch through her Flickr account, here, where you’ll find more Lambretta imagery and get a flavour of her other work. As usual with these things, please respect the copyright of the work, and don’t use any of the imagery without asking. © All rights reserved, Emme-Lou. Just another S-Type pic I stumbled upon on the web somewhere. 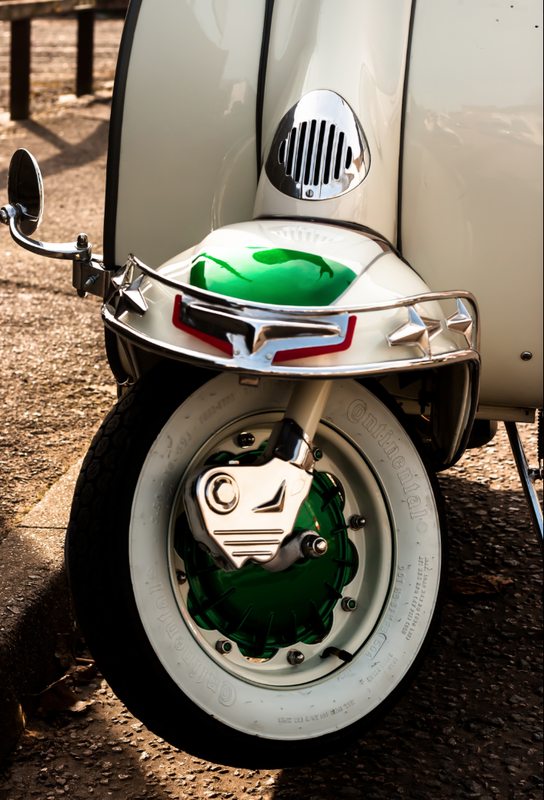 I’ve done an image search, but I can’t find anything more about this scoot, but just from the little details you can pick out you know it’s a stunner. 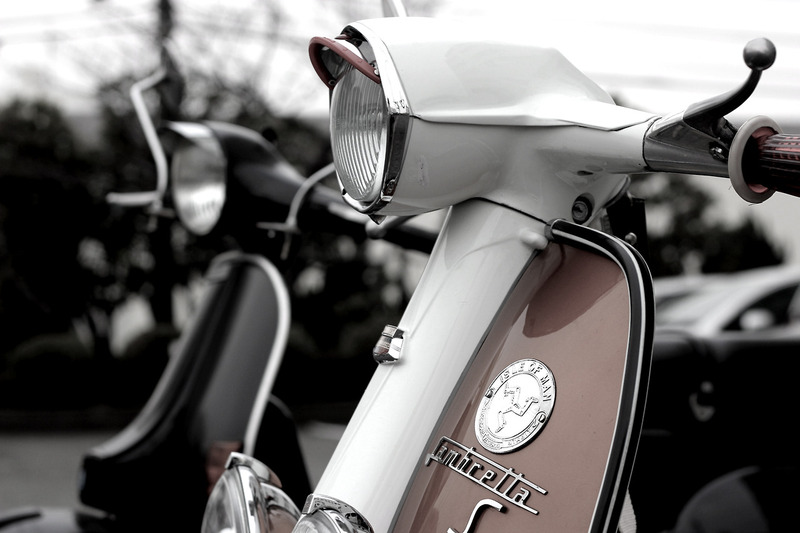 The trimmed headlight peak, the balloon grips, the candy striped leg shield trim… all hint to a cracker of a scoot. If it’s yours… I’d love to feature it on the blog. 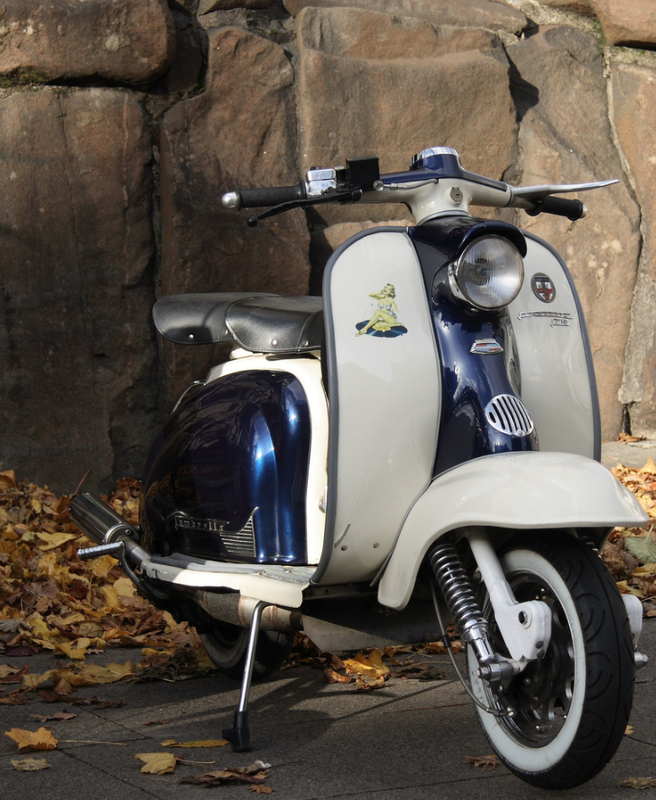 Not a lot to add to this, but a nice shot of a nice scoot. 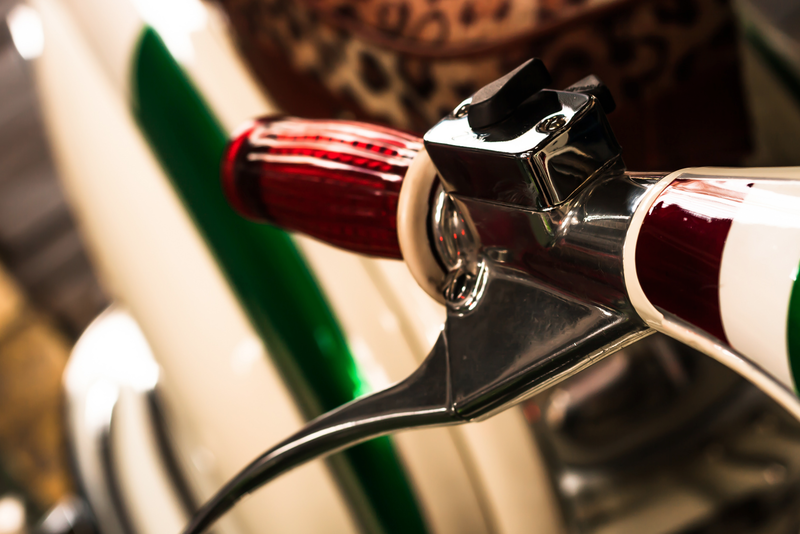 By Keith Nairn, on Flickr, his photostream is worth checking out if you, like me, like classic bikes (some nice Laverdas for instance) and other mechanical ‘boys toys’. You can’t help admiring quality.